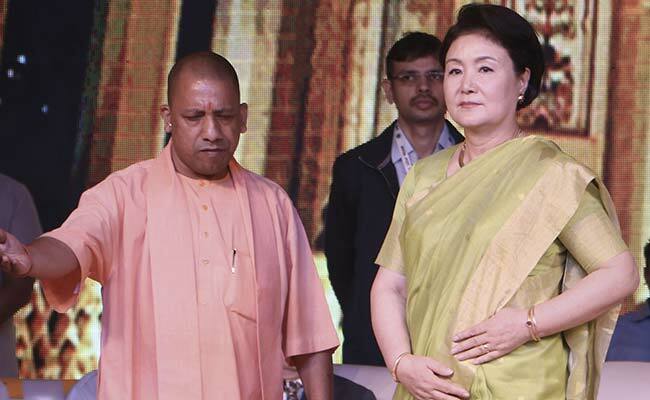 Yogi Adityanath's visit to Ram Janmabhoomi site came a day after the three-day Deepotsav ended, in which Korean First Lady Kim Jung-sook was the chief guest on the last day. Yogi Adityanath's visit to the Ram Janambhomi site came at a time when the chorus has grown within the party and the Sangh Parivar, seeking construction of a temple there through ordinance. Yogi Adityanath's Wednesday visit comes a day after he announced that Faizabad district will now be renamed as Ayodhya. Mr Pandey had Tuesday said that the option to resolve the Ayodhya dispute through community dialogue is "over" and the BJP will work towards construction of a Ram Temple in the sacred town through constitutional or legislative means.